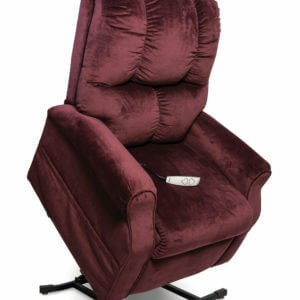 For comfort and style at a great value, choose the Heritage Collection from Pride® Power Lift Recliners. Enjoy industry-first, Total Comfort Seating, which features a unique spring design and one-piece soft foam for total relaxation. 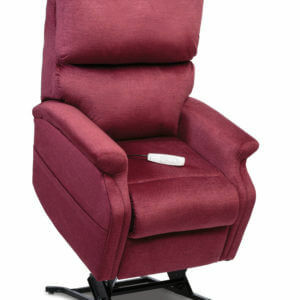 For comfort and style at a great value, choose the Heritage Collection from Pride® Power Lift Recliners. Enjoy industry-first, Total Comfort Seating, which features a unique spring design and one-piece soft foam for total relaxation. The Heritage Collection comes standard with head and arm covers. Large dual pockets provide ample and convenient storage space. The industry-first hand control is easy to use and is equipped with a USB charger port. Choose from a variety of plush fabrics to match your décor. With so many great features, the Heritage Collection delivers style and durability that lasts for years to come. Please download the Heritage Collection Brochure here for color swatches.